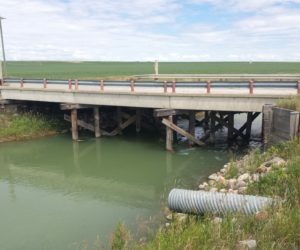 Lethbridge County is inviting tenders for the replacement of bridge file 76077, a 3 span treated timber bridge over an LNID (Lethbridge Northern Irrigation District) canal. Tender opening day is Friday March 31, 2017. It involves removing a three span timber bridge and installing another 3 span bridge. The replacement structure is 10 m – 12 m – 10 m type SL-510 standard bridge on a steel substructure with a clear roadway of 10.17 m.
11:00 am, Local Time, Friday, March 31, 2017. Plans and specifications may be obtained from the office of the Engineer, Roseke Engineering Ltd., at 191 Coalbanks Blvd. West, Lethbridge, Alberta, T1J 4A7. For technical or engineering information, contact Bernie Roseke, P.Eng., PMP at (403) 942-6170. 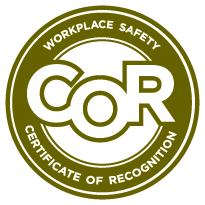 A non-refundable fee of Fifty Dollars ($50.00) made payable to Roseke Engineering Ltd. will be required for each set of documents taken. Tender documents will be available for pick up at 2:00 pm, Local Time, Thursday, March 16, 2017. Tenders must be accompanied by a certified cheque or bid bond in the amount of ten percent (10%) of the total sum tendered. A copy of this tender is available for viewing at the Lethbridge Construction Association office at 1705 – 36 Street North, Lethbridge, AB. T1H 6L1, Phone (403) 328-2474 Fax (403) 329-0971.